Process of pushing a domain into godaddy.com | Buy-PR.com - Domains with high metrics. 1. 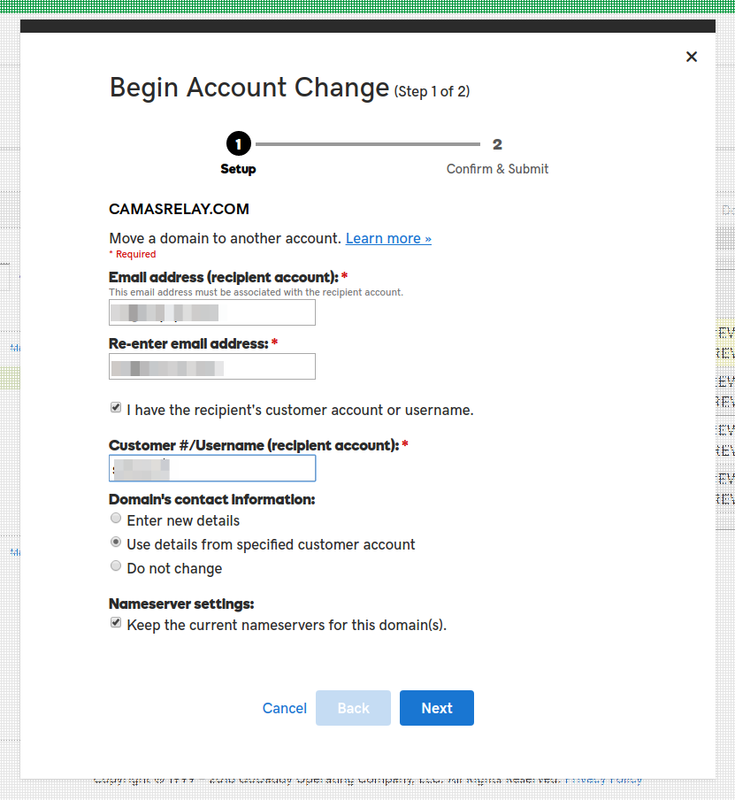 How to send domain (push) to another godaddy account. 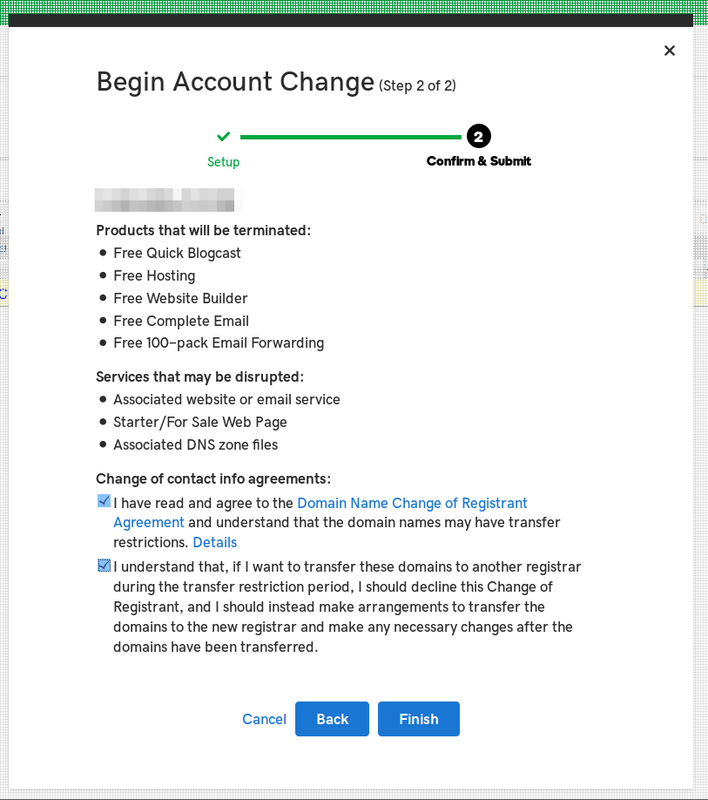 1.1 Log in into your account and push "Manage Domains"
1.2 Go to "Manage All"
1.3 Mark domains that you want to send and go to "More -> Begin account change"
1.4 Fill in email and username fields and push "Next"
1.5 Accept agreements and push "Finish"
2. 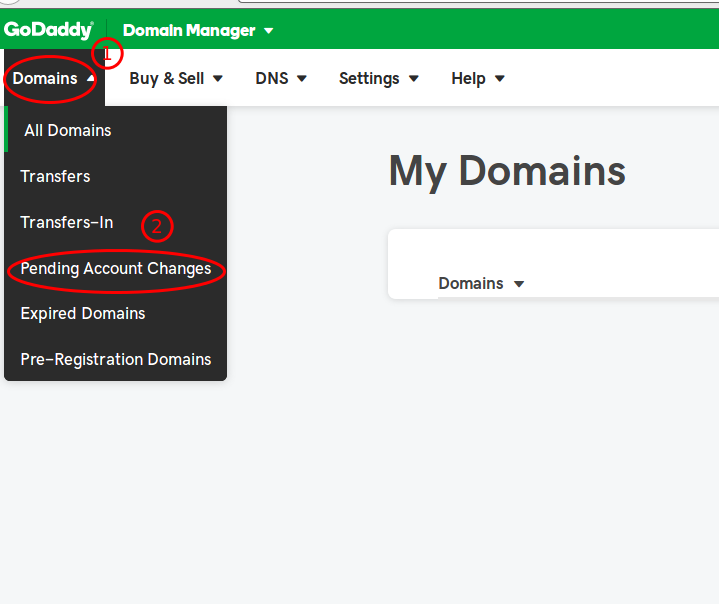 How to accept domain (push) in your godaddy.com account. 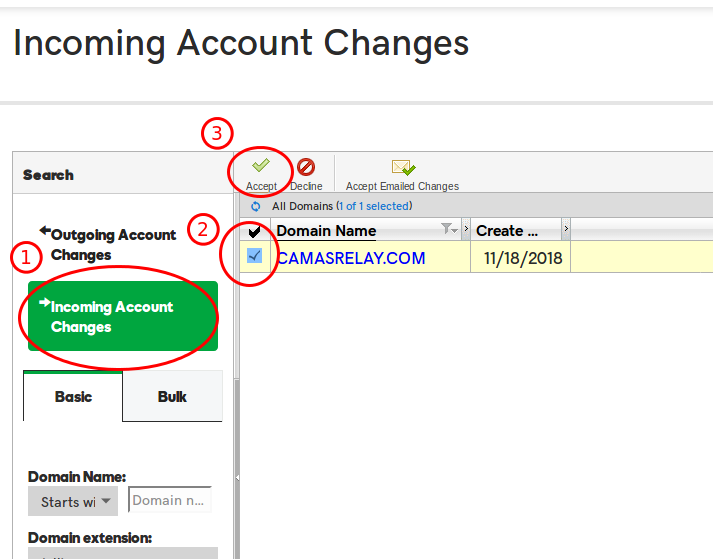 2.1 Log in into your account and push "Manage Domains"
2.2 Go to "Manage All"
2.3 Go to "Domains -> Pending Account Changes"
2.4 Go to "Incoming Account Changes", mark domains and push "Accept"
Done, within 1-2 mins you can see domains in your account. Good day, could you please re-send the link to accept again and also link to before we cannot to click accept show error >>> " Given request is invalid. if you feel this is incorrect please try again"
Domain re-sent. Please try again.